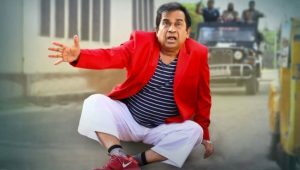 Brahmanandam is the top legendary Tollywood comedians. In this showbiz world, he has created a special place for himself. He has given several hilarious supporting performances and his stinging dialogue and his sharp presence in films have earned him infinite accolades. 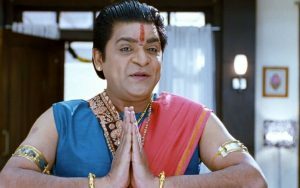 Brahmi also acted in few Hindi Movies and got the name as one of Bollywood Comedians. He has delivered the best comedy and also holds Guinness World Record for screen credits as a comedian actor. Actor Sunil also in Tollywood is a favorite comedian. Sunil as the hero’s friend or in any supporting role has proved to be a bonafide superstar comedian. He is been paired with Uday Kiran, Ravi Teja, and many upcoming actors and also A-list actors. The comedy career of Saptagiri is at its peak. His performances in Venkatadri Express, Lovers, Prema Katha Chitram, and more are a gargantuan success. Even in movies such as Sapthagiri LLB and Saptagiri Express he had the male lead role and yet he was hilarious delivering one-liner jokes and played to perfection. Prudhvi Raj grabbed the character spotlight in Khadgam and soon became a reliable comedy star in Tollywood. His career is blossoming for his distinctive laugh, comic timing, and modulation. He fondly known as ’30 years Prudhvi’. 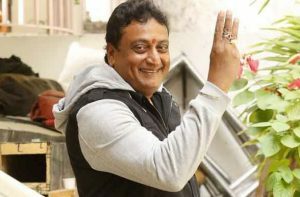 This 49 years actor is funny and plays the lead roles also in Yamaleela and Ghatokachudu. His impeccable comic timing and his effortless delivery is the reason for his popularity. He has given his best performances in Kick, Super, Pokiri, Atharinitiki Daaredi, and so on. A few old Telugu comedians that are all-time best include Relangi, Tanikella Bharani, Venu Madhav, Kota Srinivas Rao, Babu Mohan, Jayaprakash Reddy, MS Narayana, and many more. Though it appears to a male-dominated industry, an integral part played by women time to time as Telugu female comedians. These female comedians have glittered on the Telugu screen and to name a few are: Geetanjali, Nirmalamma, Surya Kantham, Manorama, Srilakshmi, Rama Prabha, y Vijaya, Telangana Shakuntala, Kovai Sarala, Radha Kumari, Subhashini, Kalpana Rai, Jhansi, Hema, Geeta Singh, Jayalalitha, Satya Krishnan, Vidyu Raman, and Yodha Girija.